More sustainable, responsible cotton farming is at the heart of what PCCA grower-owners do. Year-after-year, our growers look for better ways to produce cotton while conserving our natural resources and protecting the environment where they live and raise their families. Sustainability also improves the communities where our growers live. It’s natural for cooperative growers to take ownership of their responsibilities. Doing the right thing is a strategy for long-term success. Not just in the field, not just for future generations, but also for your business. Our cotton is grown throughout Texas, Oklahoma, Kansas, and New Mexico by farmers who care for the land and the crops they produce. 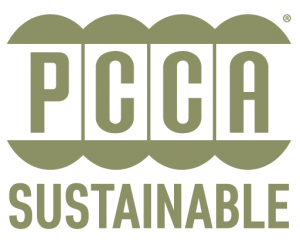 This simple fact helps ensure that when you purchase PCCA cotton, you are purchasing a sustainable product. Due to the nature of our growing region, PCCA grower-owners will have years with difficult market or weather events. Even so, they understand sustainable farming practices will ensure they produce a quality crop to satisfy the wants and needs of our customers. Today’s cotton farmers are raising more cotton with fewer natural resources than before. With sustainable farming practices in place, PCCA grower-owners work hard to treat the land well so it can be passed down to future generations. If it was not for our growers and the land they farm, we would not exist. For this simple reason we work to responsibly care for any individual or company we do business with – ensuring that you, whether a customer or a farmer, can continue doing what you love. Meet the Abernathy family from Altus, Oklahoma. As a generational farming family, they understand the importance of sustainable farming practices, which in turn provide you with sustainable cotton for your business. Tom Lahey is one of the many growers who serve as a driving force behind the up-and-coming cotton industry in Kansas. Watch as the Lahey family describes just how much the land means to their family and why they work to produce a fiber crop filled with as much love as their hearts. Interested in purchasing PCCA cotton? Contact our sales team here. We look forward to doing business with you!